Sydney (AFP) – Australia won the toss and chose to bowl against England in Sunday’s third one-day international at the Sydney Cricket Ground. England has produced a stunning form reversal since the 4-0 Ashes defeat and has won both limited overs matches. A win in Sydney will secure the five-match series for the tourists. Australia has made four changes to the side beaten in Brisbane in the second match, with wicketkeeper Tim Paine returning from illness, fast bowlers Josh Hazlewood and Pat Cummins returning, and spinner Adam Zampa also recalled. It means Australia returns to the pace trio of Mitchell Starc, Hazlewood and Cummins which dominated the Test series. Out of their side go pacemen Andrew Tye and Jhye Richardson, as well as stand-in wicketkeeper Alex Carey and batsman Travis Head. Captain Steve Smith decided it was time to try something different after winning the toss, with England having produced successful run chases in the first two matches. “We want to change it up,” he said. England has retained the same team that won the first two matches and captain Eoin Morgan was happy to bat first. “It doesn’t really bother us,” he said. 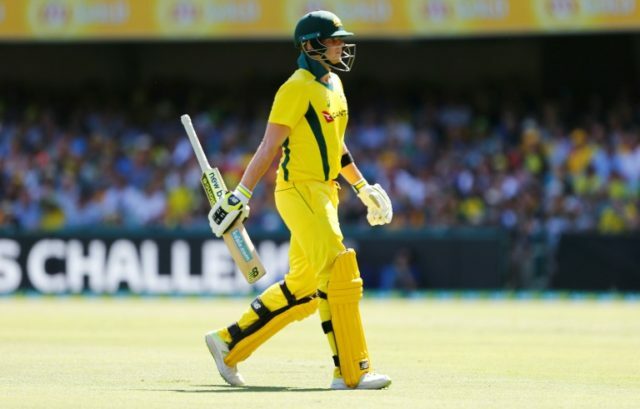 Australia – David Warner, Aaron Finch, Cameron White, Steve Smith (capt), Mitchell Marsh, Marcus Stoinis, Tim Paine, Mitchell Starc, Pat Cummins, Adam Zampa, Josh Hazlewood. England – Jason Roy, Jonny Bairstow, Alex Hales, Joe Root, Eoin Morgan (capt), Jos Buttler, Moeen Ali, Chris Woakes, Adil Rashid, Liam Plunkett, Mark Wood.